Sunset found us anchored in Chesapeake City, Maryland at the entrance to the Chesapeake and Delaware Canal. 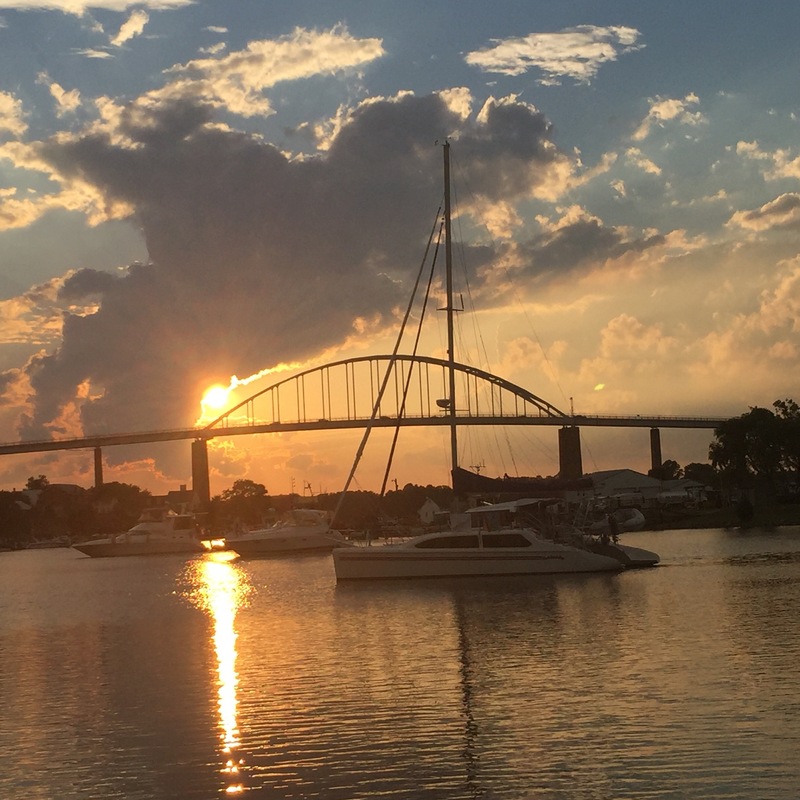 Aside from an ominous note on our chart reading “piles” roughly below our anchoring spot, the anchorage was the perfect spot to toast our travels in Chesapeake Bay. 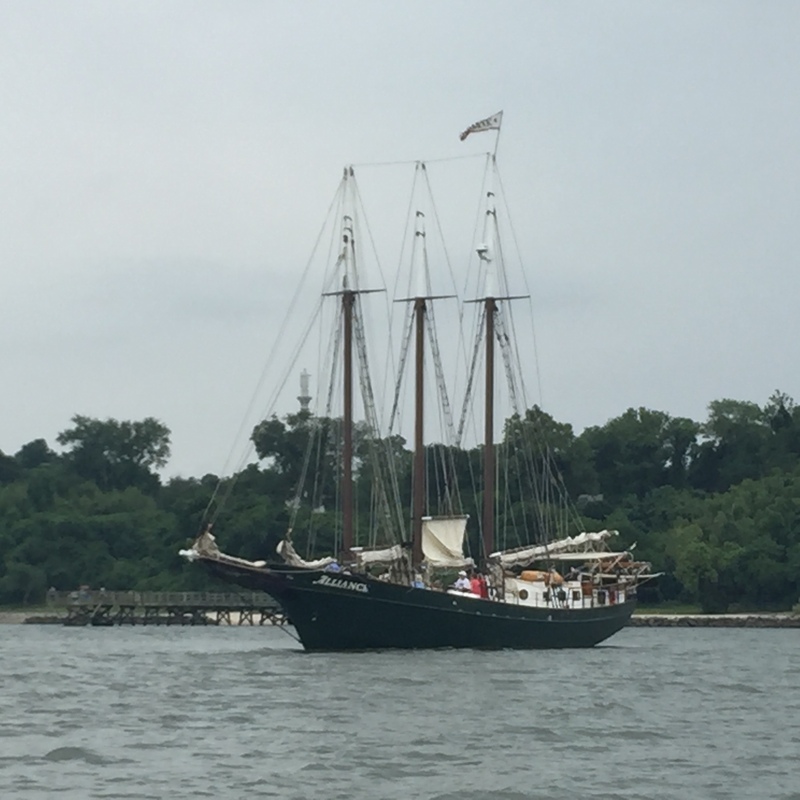 Along with inspiring historical sites and family visits (described in earlier posts), our travels provided us with world class gunkholing among quiet anchorages, fishing vessels of various shapes and sizes, visits with friends who date as far back as elementary school, skilled boat work in Annapolis, and some fine Bay sailing. We hope to return for more this fall. 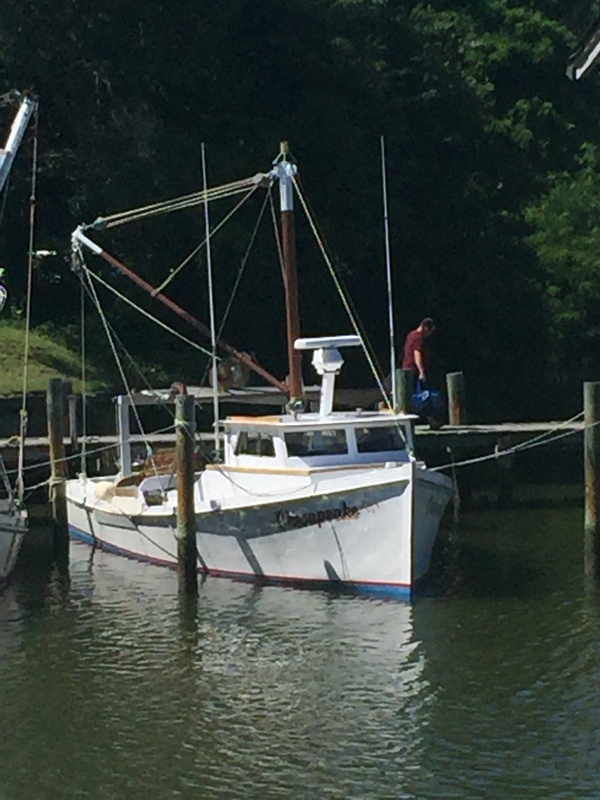 Fishing vessels, such as Chesapeake above, shared our harbors as we moved north. Moon beams dapple Sarah’s Creek, our first Bay anchorage. 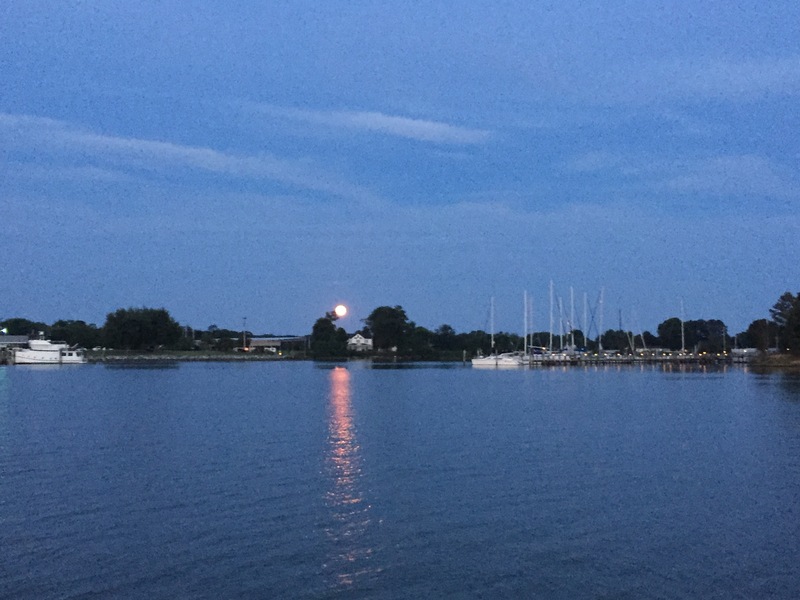 We also stopped in Deltaville and Solomons, before picking up a city mooring ball in Annapolis, self proclaimed sailing capital of the world. 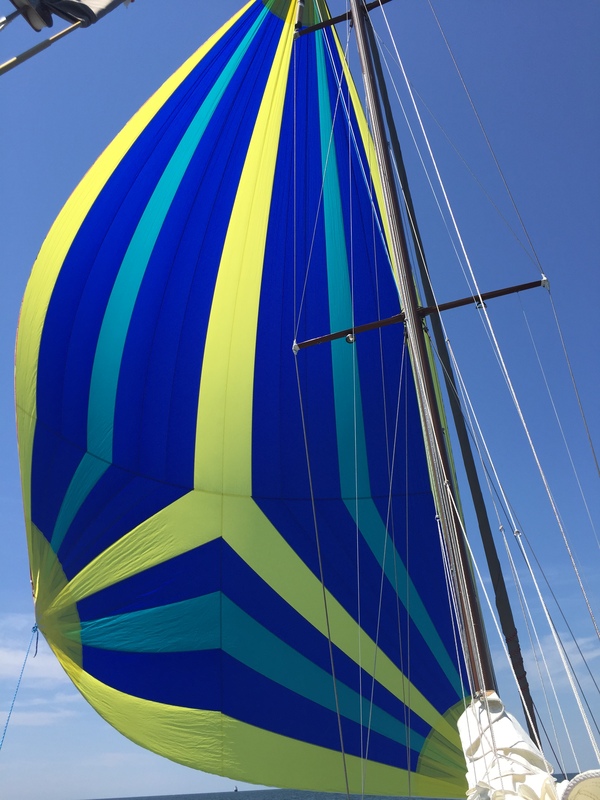 A constant but gentle breeze filled our spinnaker on a memorable run up the Bay. The sail seemed happy to be out of its bag after its long hibernation during our time in the stiff Caribbean trade winds. 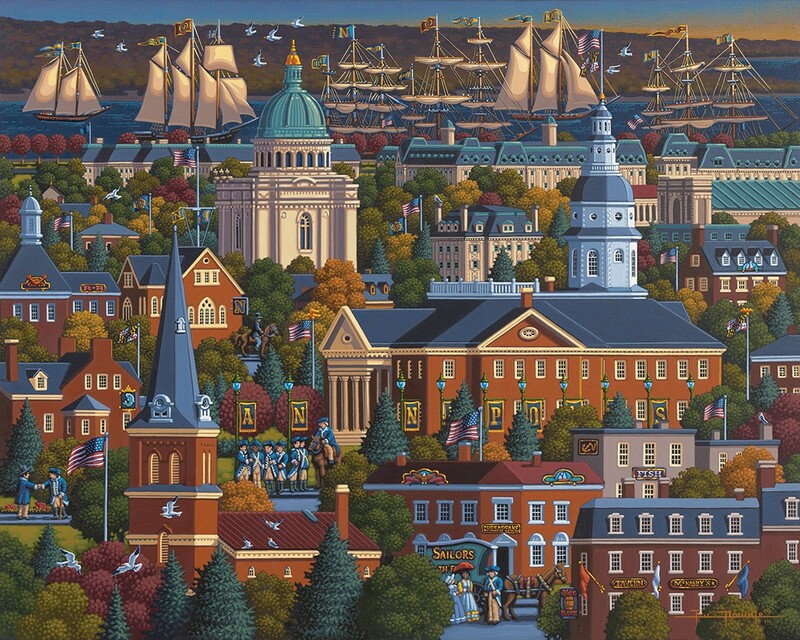 This colonial rendering of Annapolis, Maryland’s State Capital and home to the Naval Academy is actually a 500 piece puzzle. 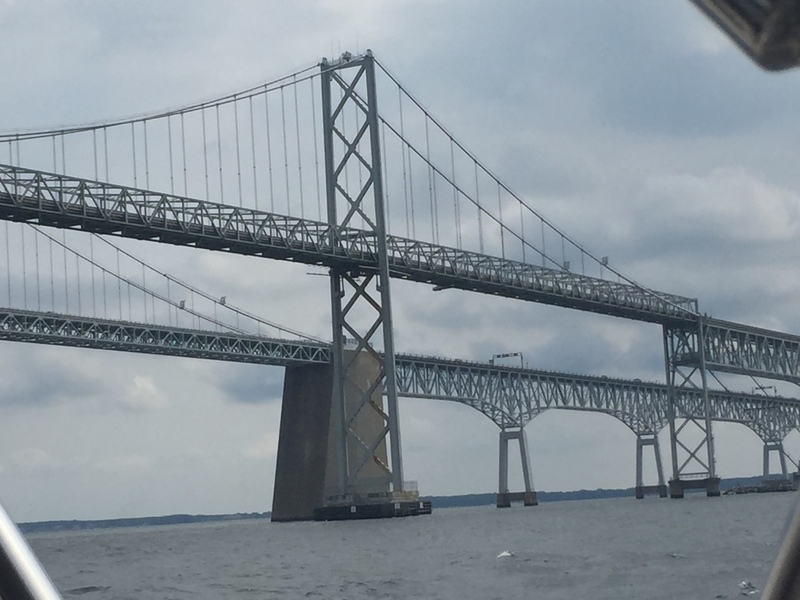 We secured Elizabeth Jean to a city mooring ball for our visit to Washington D.C.
Elizabeth Jean approaches the Chesapeake Bay Bridge which links Annapolis to Maryland’s Eastern Shore. Chesapeake City, the entrance to the Chesapeake Delaware Canal. Our visit to the Chesapeake Bay watershed allowed us to visit with Eulalie’s sisters Janet Page, who drove several hours to meet us in Portsmouth, Kate Hare and her family, who made time in their busy summer schedule to host us for dinner in Georgetown, and Mary Helen (who we also saw in Costa Rica) and her husband Richard, who feted us with a delicious dinner on the Eastern Shore’s Tilghman Island. Taken together with our earlier visits with sister Julie Jones in Grand Cayman and the Panama Canal and brother John and his family who drove to see us in Santa Cruz and Monterey, we have visited all of the Sullivan siblings during our three-year journey. We greatly appreciate the effort everyone has made to fit us and Elizabeth Jean in to their busy lives. Our first anchorage as we proceeded up the Chesapeake Bay was in Sarah Creek, a tributary to the York River. 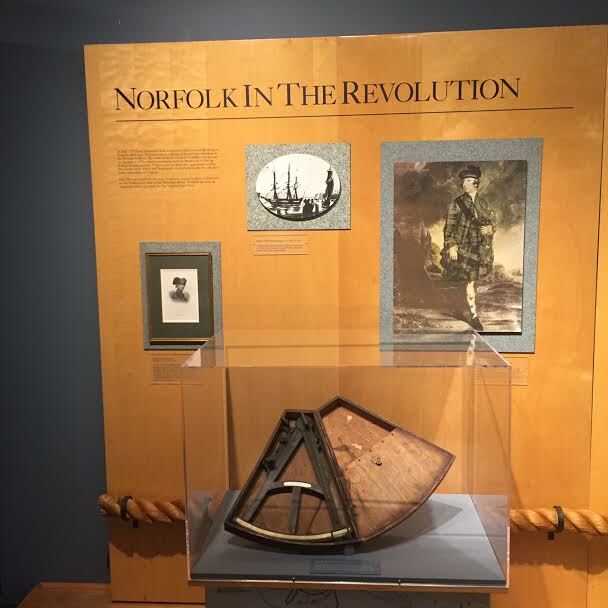 This snug anchorage provided a convenient vantage point to explore Yorktown, the scene of the decisive Revolutionary War battle and the British surrender on October 19, 1781. Detail from the Yorktown Victory Monument. Photo credit: National Park Service. In this vintage Albatross eye view of the Chesapeake the York River is the second major river system from the left. 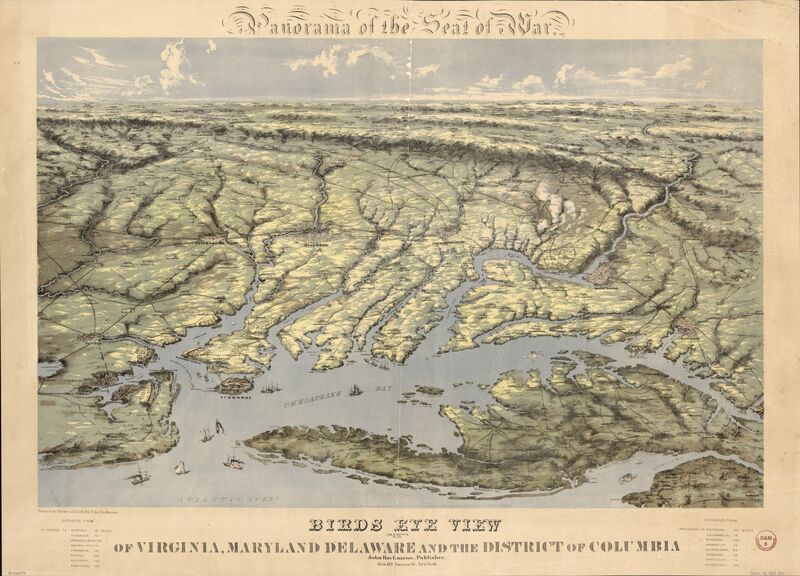 To get to the York River, we transited from Norfolk up the James River, the first system to the left. Congress authorized construction of the Victory Monument ten days after the British surrender; however, Congress did not authorize funds for construction until after the civil war. 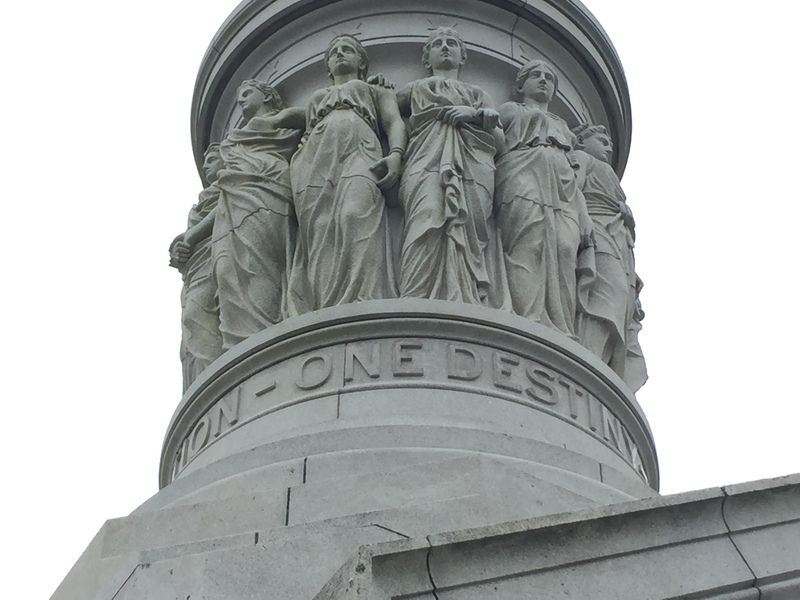 The monument’s message of “One Country, One Constitution, One Destiny,” speaks more to the post-Civil War sentiment than to the mood following the century-earlier conflict. The message remains timely today. 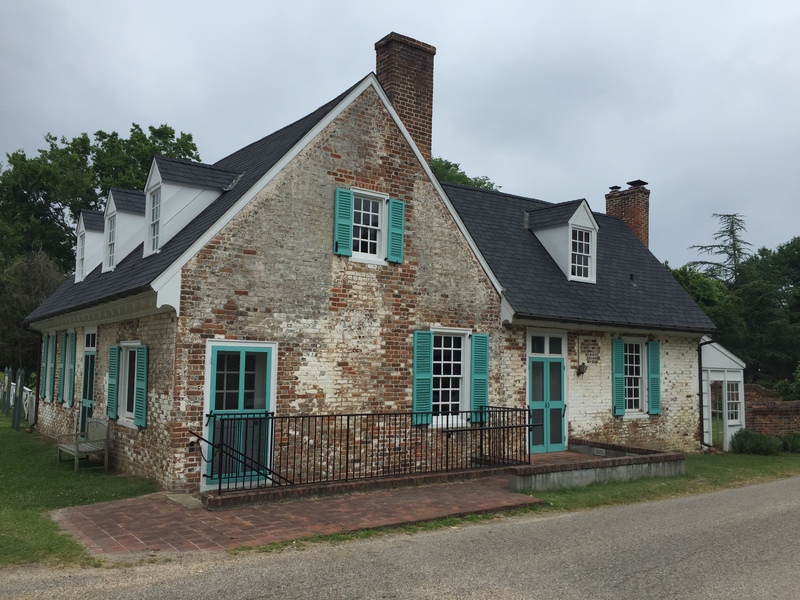 Yorktown’s historic main street is now a National Park. We enjoyed a leisurely afternoon strolling the streets and immersing ourselves in the area’s history. 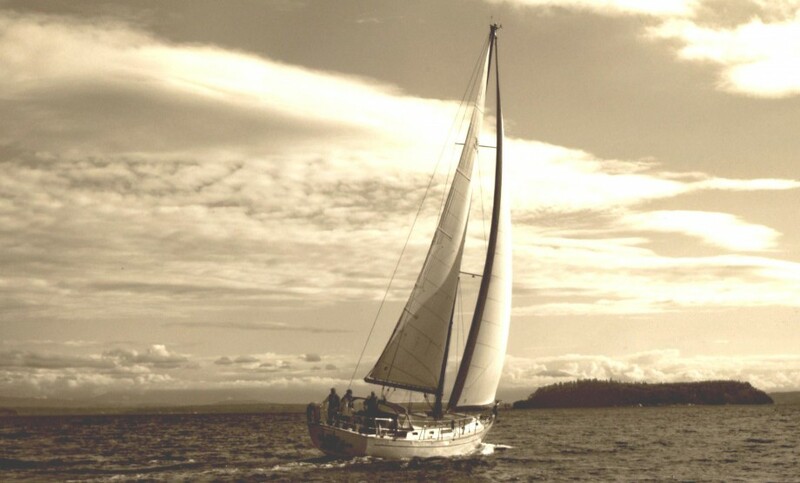 The Alliance, which offers tours of the York River, was built in 1995 in Palm Coast, Florida as a charter vessel in the Maine Windjammer fleet. 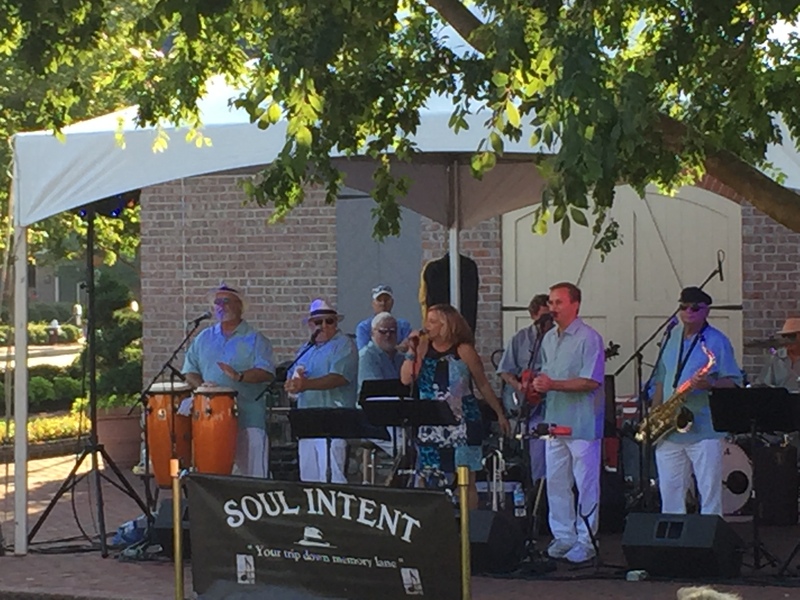 A free waterfront concert entertained us while we waited for the winds and river chop to subside. Lively winds, and views of the Alliance and Victory Monument, accompanied our dinghy ride across the river back to Sarah Creek. 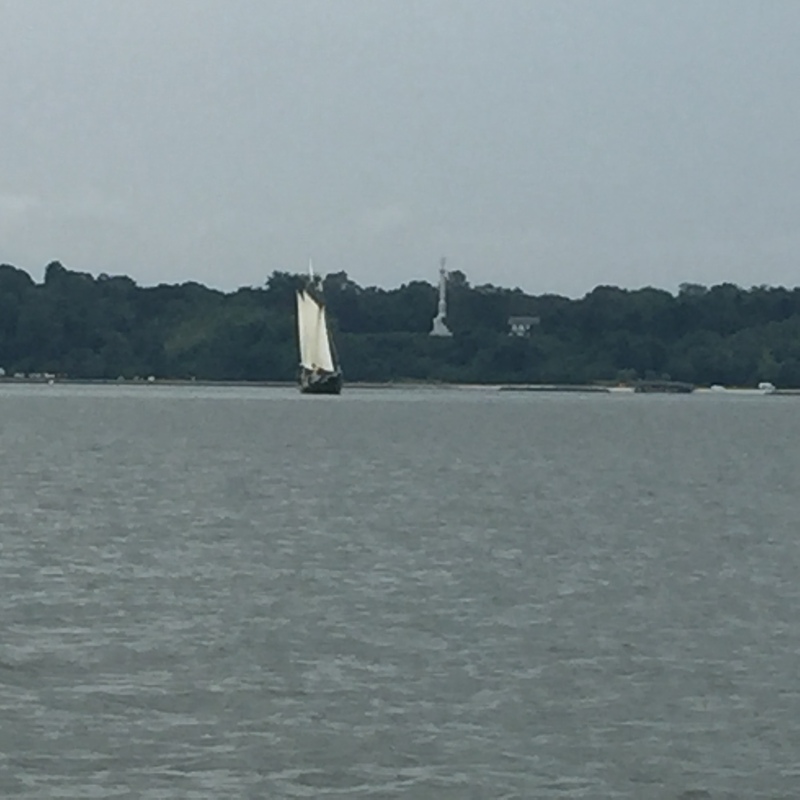 While Betjeman’s above praise was for England’s Norfolk County, we similarly “reeled with delight” upon our arrival to Norfolk, Virginia (named for the English County) and its cross-the-river sister, Portsmouth after our three night passage from Charleston around Cape Hatteras. 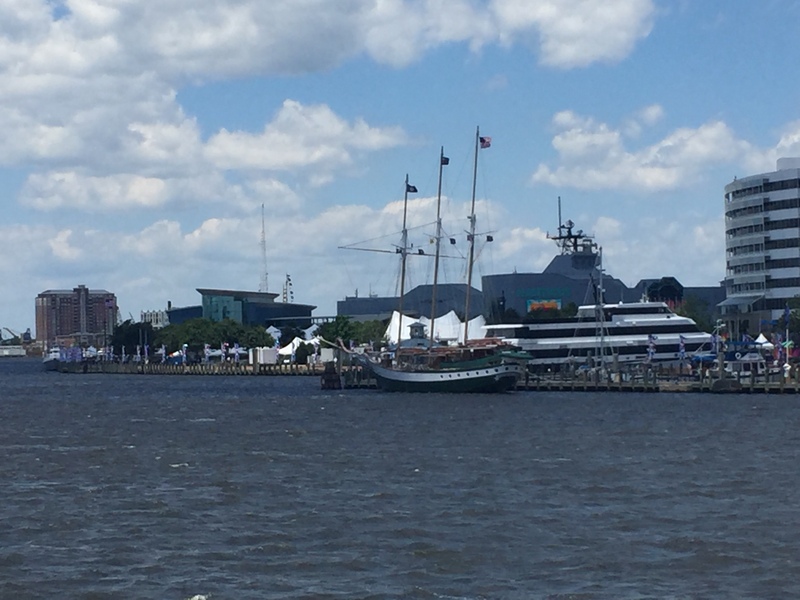 Our visit to Norfolk and Portsmouth coincided with the cities’ Harborfest Celebration. 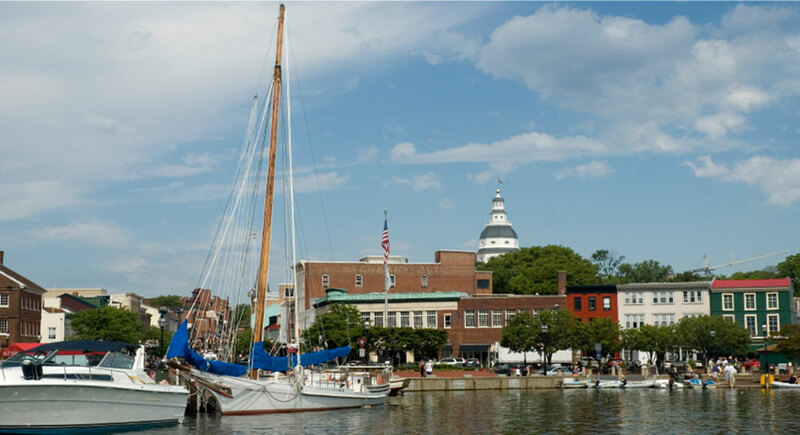 These cities have much to celebrate with their place in our nation’s naval and maritime history, revitalized waterfronts, museums and walking tours. Our 10 day stay here allowed Eulalie to head to Cape Cod for a mini-reunion of college housemates and for Eric to knock out a couple of boat projects. 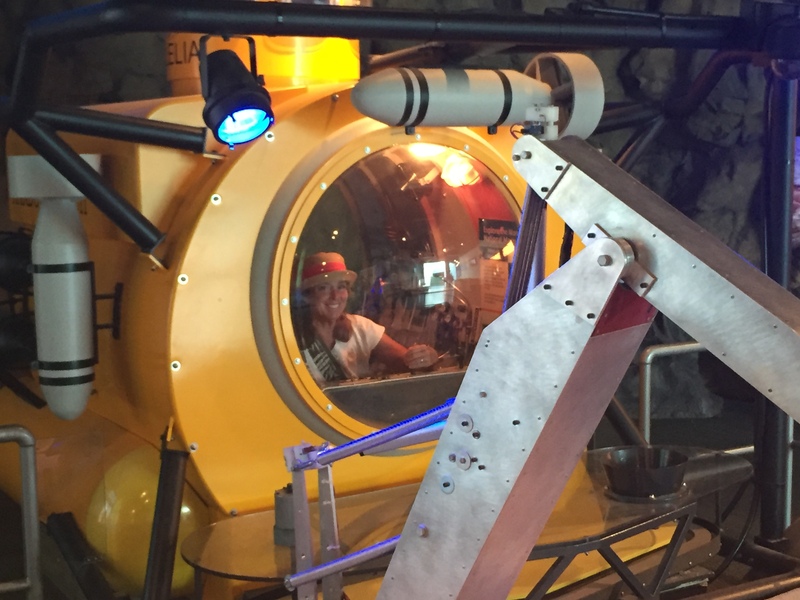 He also delved more deeply into the area’s maritime history, an academic focus in college. 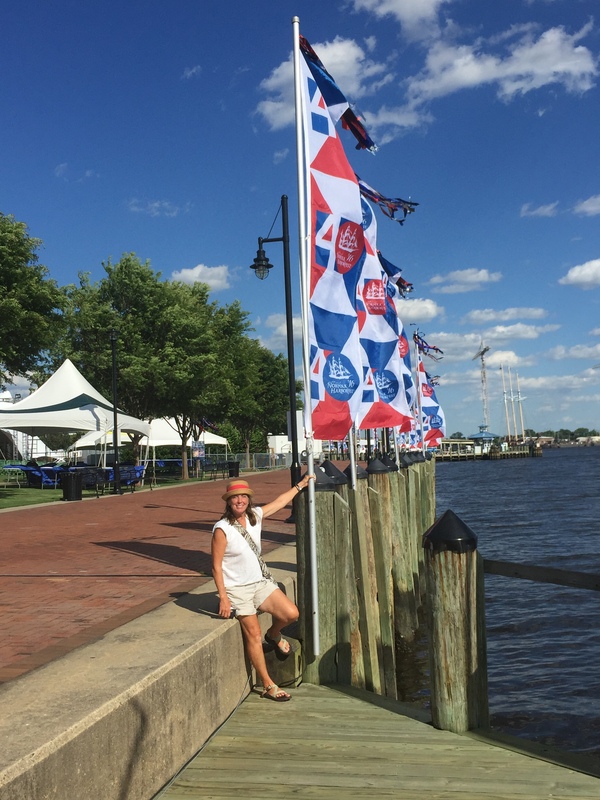 Red, white and blue banners proclaiming the 40th anniversary of Harborfest festooned Norfolk’s waterfront. A water taxi provided easy access from Portsmouth, where we moored Elizabeth Jean. Tall ships gathered around the waterfront in anticipation of the Harborfest parade. Captain Eulalie at the helm of our next vessel 😉 in Nauticus, Norfolk’s marine science and history museum. 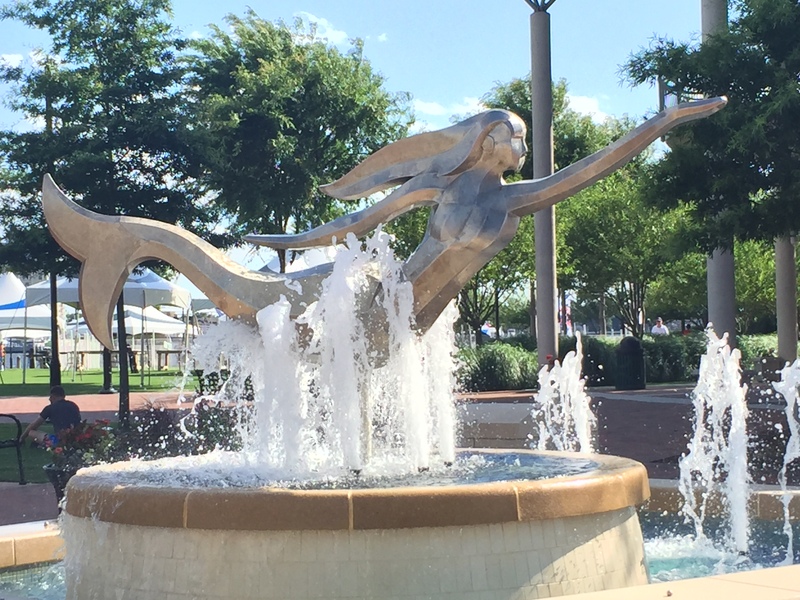 A mermaid beckons to the museum, a waterfront park is in the background. 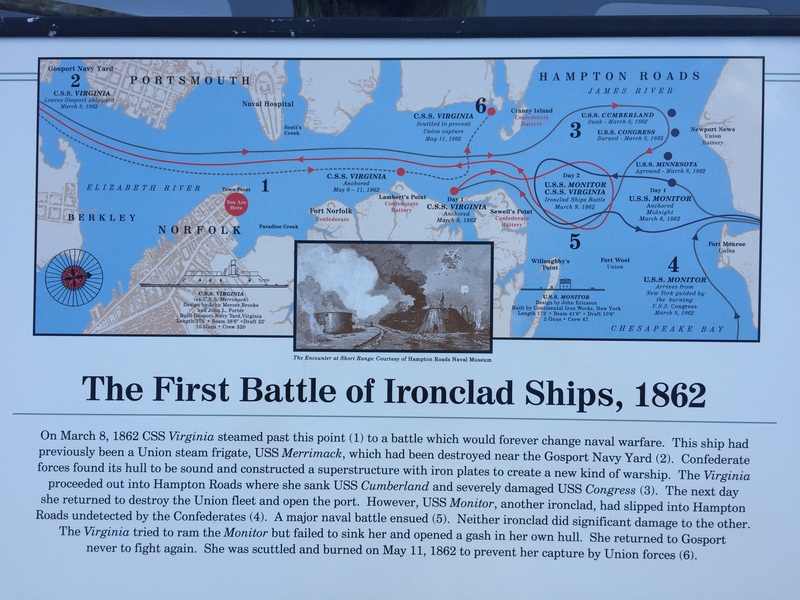 The above figure describes one of the milestones in the area’s history, the battle of the Monitor and the Merrimack. 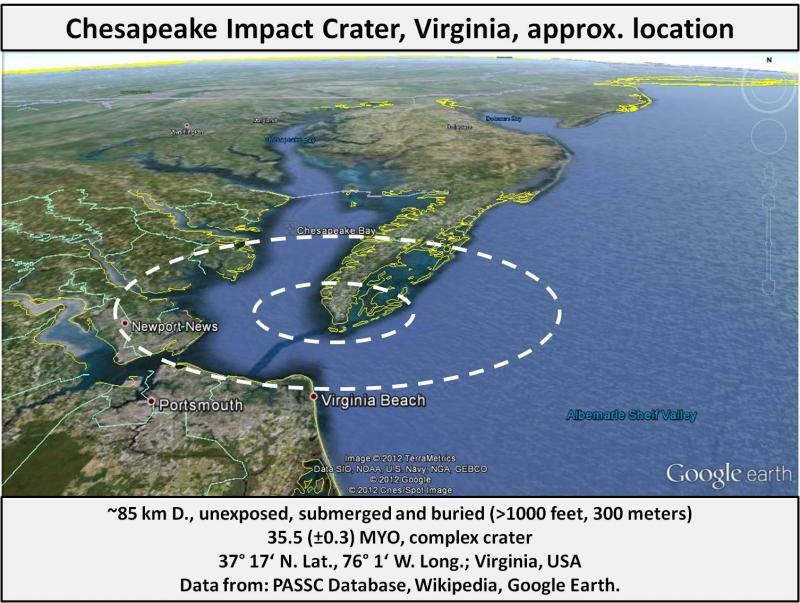 The figure also illustrates the locations of Chesapeake Bay, James River, and the towns of Norfolk and Portsmouth. 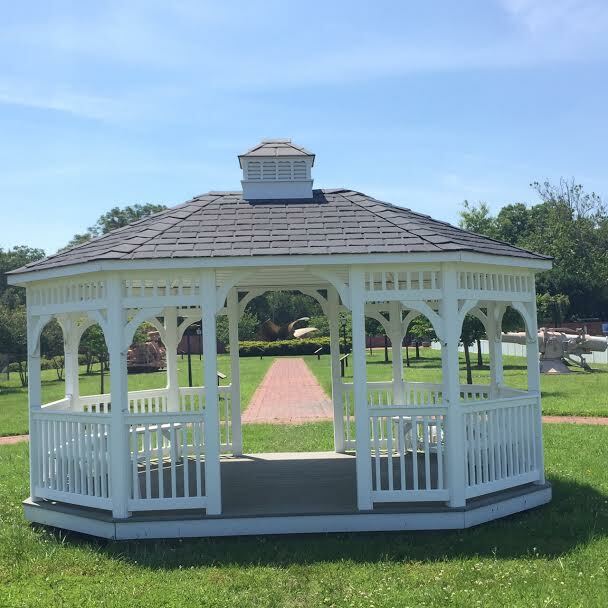 The gazebo frames a walkway with signs documenting the areas history as a naval shipyard. 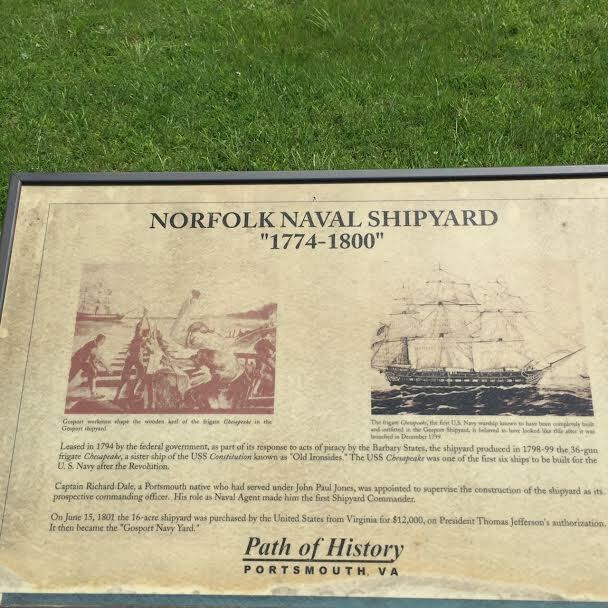 As this sign explains, the young federal government leased the shipyard in 1794 to build the USS Chesapeake, sent to the Mediterranean to fight the Barbary Pirates. 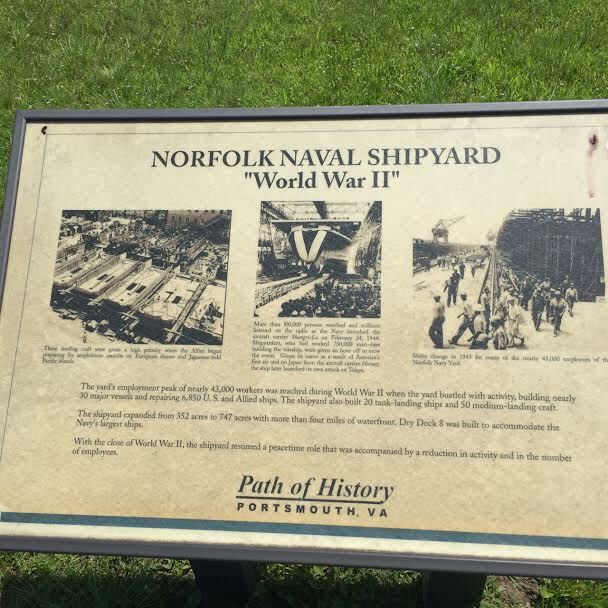 \This sign documents the yard’s role in World War II, when the shipyard occupied four miles of waterfront and employed 43,000 workers. 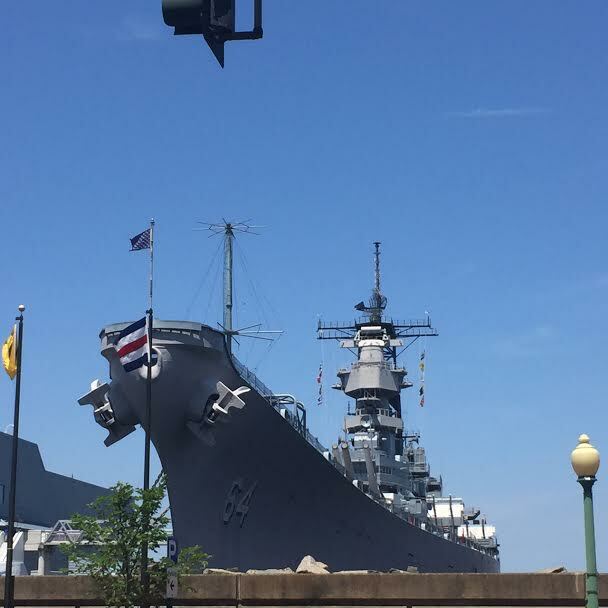 The Navy maintains an excellent naval museum (free to the public) at Nauticus, the waterfront museum. 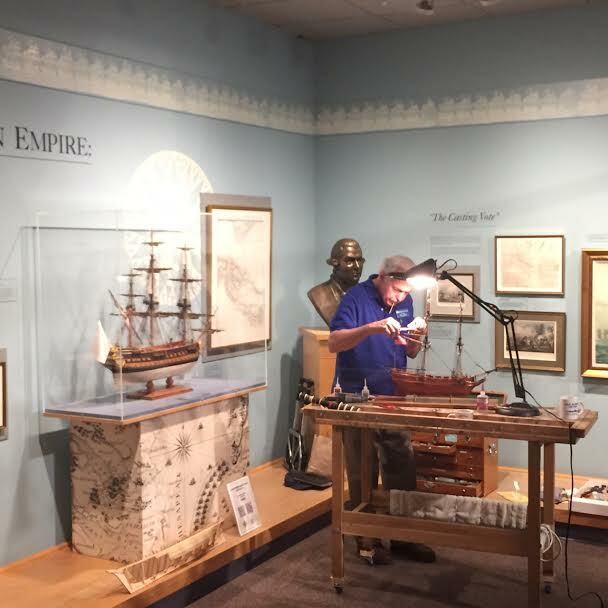 This modeler performed his work as part of the exhibit. Nauticus is home to the U.S.S. Wisconsin, an Iowa class battleship, that fought in WWII and the Korean War. 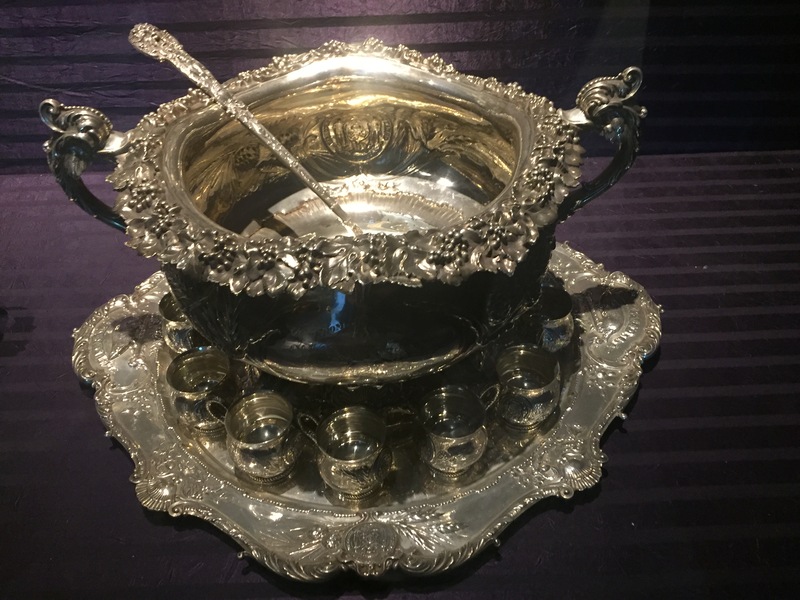 The naval museum displays’the Wisonconsin‘s silver service. As was the practice in the late 1800’s, The State of Wisconsin paid for the silver set for an earlier ship that bore the State’s name. The silver was refurbished for the WWII Wisconsin.